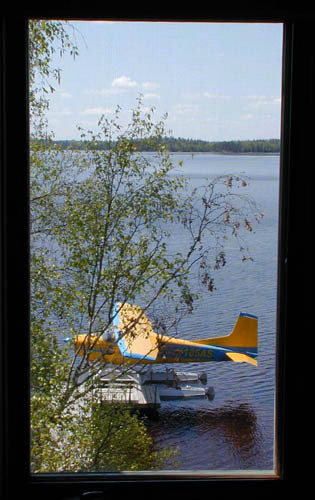 Floatplanes are tremendously exciting! There is something special about taking off and landing in the water. It is a challenge to find a suitable landing place, always judging whether the waves are not too rough. There are no controllers saying "you are cleared to land." 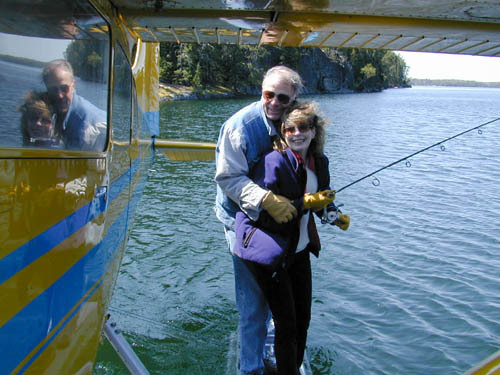 Once on the water, you switch the aviator's cap to one of a boatman. A plane can sometimes become a toy in the wind and waves. It is demanding in many ways, but simply one of our favorite things to do. Several years ago we were in New Orleans for a few days while on our way to Sun'n Fun in Florida. 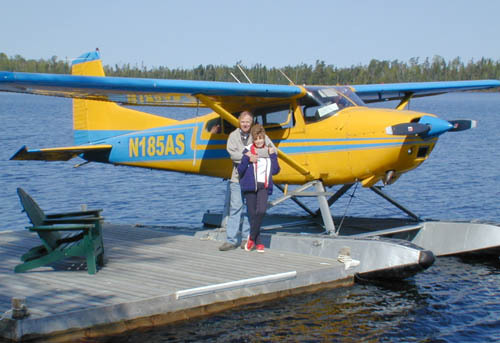 There were a few days to spare so we said to one another, ”Why not get seaplane rated on the way to our destination?” Off we flew to Jack Brown’s Seaplane Base in Winterhaven, Florida. It was exhilarating. The whole rating process took a day and a half. In just over five flying hours in addition to ground school, homework and testing we had our ratings in a J3 Cub. Throughout our experience, it was fascinating to see all the little alligator eyes peering at you while landing and beaching. Better step lively off those floats! Once again we were on to new adventures. 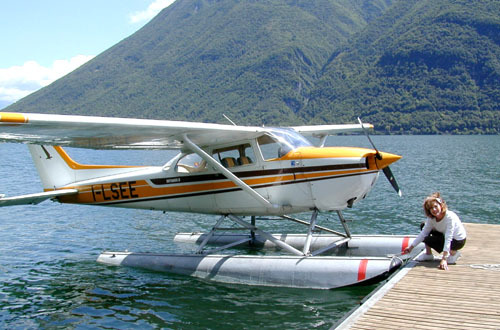 In order to rent a seaplane (about five years ago), one needed 25 hours of dual and a thorough check ride. 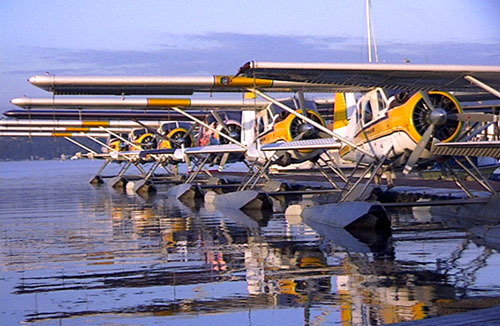 We headed off to Kenmore Air just outside Seattle, Washington to accumulate those extra 20 hours. We each flew our heads off for four days, mostly in rain. Always take rubber gloves to pump water from the floats, as it is bone chilling cold. Now we were set. 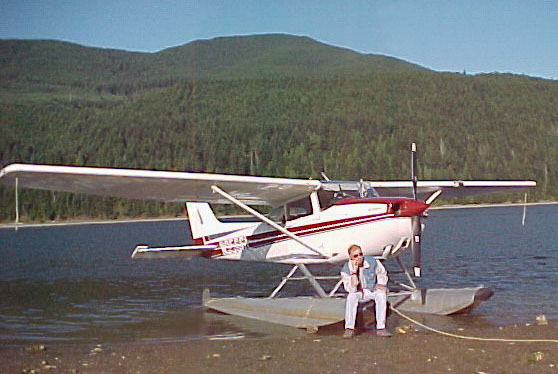 After renting a C172 float plane, we took off by ourselves. Passing by the Space Needle in Seattle on the way to Puget Sound we thought we were dreaming because the views were so spectacular. There are countless places to dock and have a great crab salad or simply pack a picnic lunch and beach the plane for your own private party while watching the blue and red star fish swim in front of you. Watch out for those ebbing tides or you may find yourself digging the plane out of the beach bare handed! The San Juan Islands lie northwest of Seattle and are a favorite escape from the busy City. In a C172 it is only a 40 minute flight. Once over the San Juan Islands, we circled above the playful Orcas whales and surveyed all the Islands. On recommendation from our seaplane base we docked in front of one of the local hangouts for a delicious crab cake lunch. Should one want to acquire an extra rating, a Beaver is another great experience. Kenmore’s rules state that one cannot rent a Beaver alone. An instructor must fly in the right seat. However, we learned so much about the areas that it was well worth it to fly with a local pilot who educated us on a multitude of things around the area. There are many other interesting islands along the way and we thought the entire area was a super place to fly. For pilots flying planes without floats, there are several airports to land at with spectacular views and approaches. The experience is super either way. The weather is also much better in the San Juan Islands than in Seattle. They have their own little weather system. We actually liked the whole area so much that the following year we returned with our brother, Philippe from Switzerland. While he was getting his floatplane rating from Kenmore, we adventured further into the surrounding areas. We flew from sea level up into the mountains and practiced glassy water landings in the shadow of Mt.Baker. After that we were once again on the hunt for more good places to dock and explore in Puget Sound. Another fabulous trip was out of Minneapolis, MN. We forged north into Canada in a C185 with a guide. Although it is great fun for us to fly alone, there is something to be said about taking a guide along in the right seat who knows about all the special and remote places. We flew into desolate and beautiful country where wildlife abound. This was truly an area of endless water and remote islands. The scenery was breathtaking. Every night brought us to a different island only attainable by boats or floatplanes. The cabins are cozy and the people welcome you with smiling faces, a tasty meal and a warm bed. What more can a person want? One night we stayed in an old hotel that used to be a brothel and a destination for wealthy fisherman seeking whatever suited their fancy. Today this a place where not only fisherman go but anyone seeking a remote place to enjoy a variety of things. In many other areas we fished off the floats of our plane. Dress warmly, as the air is quite cool while waiting for those big fish to bite. If you love the wilderness, you will want to stay. We have never forgotten that beautiful part of the world. Como, Italy is only a three hour drive from our home in Switzerland. 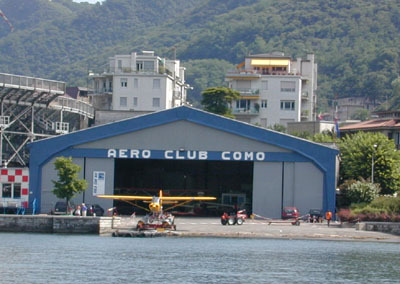 Aero Club Como is the name of the seaplane base. 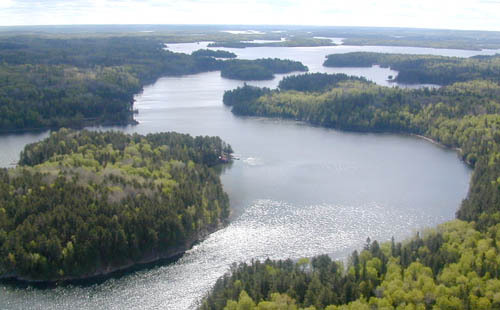 The scenery is spectacular as you take off from the south end of the Lake and gently climb above the steep mountains which rise abruptly from the water. One can view a variety of things from beautiful villas to old country homes with their narrow streets leading to and from. The famous Bellagio Resort is on climb out heading north. Below, ferries transport people to and from various places along the Lake. They serve as the local bus or taxi service of the area. 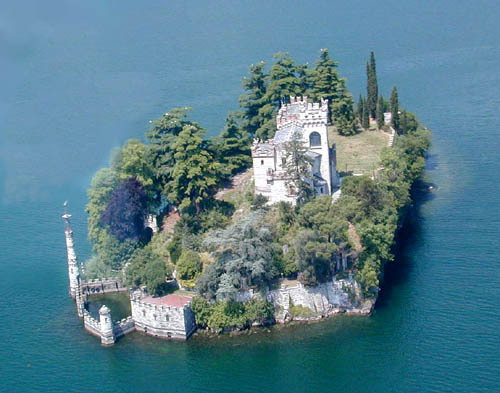 The Lake of Como is only one of the many lakes to fly over in northern Italy. It is difficult to say which is the most beautiful. 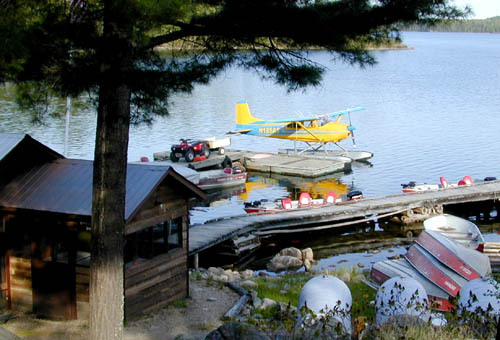 There are numerous restaurants which have docks for boats or floatplanes. For some reason, the Carpaccio always tastes better in Italy! If you have a sweet tooth, it is hard to beat the Panna Cotta, Zabaione (Zabaglione) or the Amaretti cookies! Always check the weather before making the trip. With the Alps just to the north, the wind can be unpredictable.